Are we entering the last few weeks of this player's time at the club? Sad to say, but I think we might be. It's been a long journey, punctuated by a change of badge, even if he couldn't tear himself away from the famous claret and blue. He was, after all, an unused sub on the day we played in our last major final, in Cardiff, when...sorry I can't finish that sentence. That itself was 12 years ago. The kind of personality that every club needs at least one of, Ginge has never shirked a shift in an often uncertain backline. He seemed to love the challenge of Anfield, iirc ensuring at least a couple of draws, if not more, in his time. Shame, maybe, that he wasn't there for the famous 0-3. Along with Noble, Ginge has effectively devoted most of his career to our club. When he's gone, I reckon he'll be sorely missed. You would have thought that on his salary there would be a place for him in the squad. I had hoped he'd become a coach here. For how he handled Bubbles' demonstration alone I love him. We need to move on, with regards to finding better players to play in his position, but I would make it a priority to keep him at the club in some form of coaching role. I would imagine that he would like to play on though, a 1 year deal can't hurt, can it? It always benefits to have people around the club who get what it means to play for West Ham. He's worth at least another year in my book. Ginge is a proper old school defender and if we had a few more with the heart and desire that he shows, we wouldnt be in the shyte we are in now. I think he could still be useful as a Fourth choice CB. 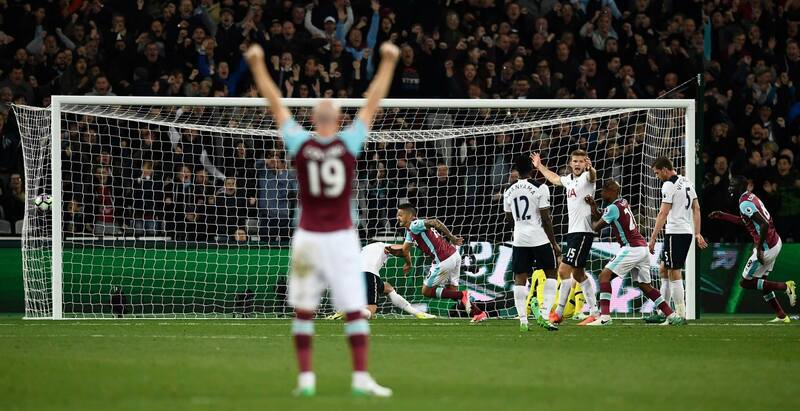 The man bleeds West Ham, gives his all and still has put in some fantastic performances this season despite his age. On top of this, I understand he is a fantastic bloke in the dressing room, and also helps out the kids. Well worth a year extra, and after that get him in to youth coaching. Why do we assume he is a good coach? He clearly puts his body on the line when needed, and always puts a decent effort when called on. With the backline consisting of three defenders, and one of those is a left-back, I'd say there would be room for him, as Rice doesn't need to be registered iirc. szola wrote: Why do we assume he is a good coach? I think it's more to do with finding him a position, in order to keep him in and around the squad. Spurs seem to look after ex players pretty well, in that regard. If he goes he needs to be Captain against Everton .... and subbed in 89th minute to standing ovation. Great player, great servant and echo that he deserves a testimonial. However, it is definitely the right time for him to move on now, he has unfortunately shows glimpses that he is on the decline. If this club is to move forward then they need to look beyond extending the contracts of ageing players and look towards the future with younger talent. I opened this thread expecting to see a post from Puff asking if Ginge was really ginger or strawberry blonde. Big fan here. If he wants regular football, he ought to look elsewhere, but if he's okay to take the role of injury cover, I think we could do worse than hold onto him. Mega Ron wrote: I opened this thread expecting to see a post from Puff asking if Ginge was really ginger or strawberry blonde. I believe the politically correct term is Redhead! The thing for me is the quality of the bacon. If it's good quality bacon in a decent roll, I prefer just butter (Lurpak Lighter Spreadable normally), but if it's a lower quality bacon I'd probably go with brown sauce. Give him another year, then try and find a job for him as a coach or something.